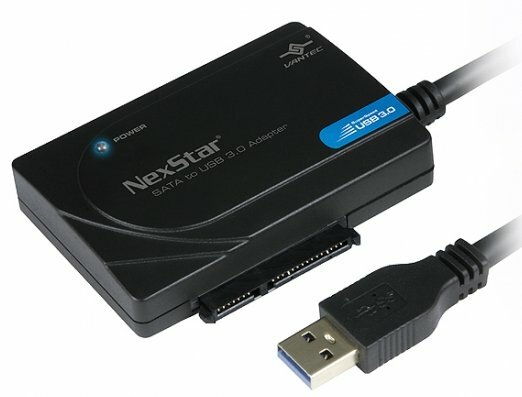 Vantec presents the NexStar SATA to USB 3.0 Adapter (CB-SATAU3), this device enables you to connect SATA devices to your system via a USB 3.0 port. The specifications reveal support for 2.5" and 3.5" solid state disks and hard disk drives, but also for 5.25" optical drives. Both 3.5" and 2.5" SATA HDDs of up to 2TB capacities are supported and it comes with an AC Adapter which I would imagine is only required in conjunction with larger more power demanding mechanical HDDs.